It’s not all about diving when you do your PADI Divemaster course with Sairee Cottage Diving. The flexibility of the schedule means you can give your self plenty of time away from being under water (if you want to), and explore the many other Koh Tao activities on land. One of the most common of the many Koh Tao activities you will see divers partaking in when they aren’t in the water, is drinking. It’s not difficult to see why when there are so many beautiful settings for sipping a cold one. You can choose from beach bars such as Maya or Fizz, where you can enjoy the ocean and beautiful sunsets, the Sairee Cottage Pool Bar, where you can choose from a wide range of imported craft beers and ciders, or Banyans Bar, where you can enjoy the local “camaraderie”. Ok, maybe that last one wouldn’t class as a “beautiful setting”, but you certainly get your money’s worth when it comes to drunken entertainment if that’s your sort of thing. Check out Banyan TV on YouTube for a taster of life at “the bar where no one knows their own name”. But let’s step away from the drinking (god knows we try to often enough! 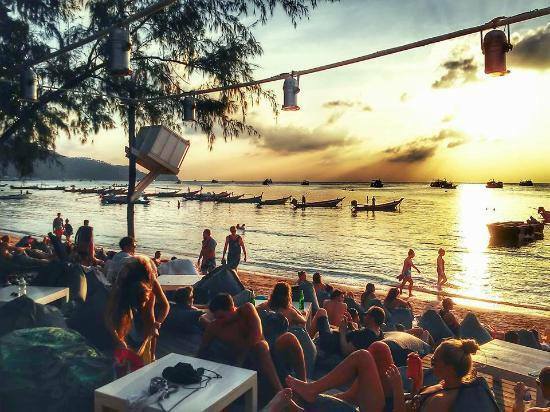 ), and look at some of the other Koh Tao activities available to you during your time on this beautiful little tropical island in the Gulf of Thailand. First and foremost, there are obviously the beaches. Sairee Beach is the main tourist beach, running down the west coast of the island, and is a great place to lie and soak up the sun. But if you want to get away from the crowds (even though it’s never really that crowded), there are numerous other options. You can go down to the south of the island to Chalok which is a quieter, more laid back town with a lovely beach in a sheltered bay. Then there are numerous smaller beaches up and down the east coast, such as Hin Wong, Tanote, Ao Leuk, and Freedom Beach to name a few, all of which have small quiet beaches and great snorkeling, and some even have cliff jumping if you are feeling a bit more adventurous. Getting to these beaches will take no more than 15-20 minutes in a taxi or on a motorbike (please ask at Sairee Cottage for a reputable rental company and be wary of the roads as many of them are not suitable for inexperienced drivers), or you can hike to most of them in about an hour or so. And if hiking is your thing, you can certainly fill a few days walking some of the many trails crisscrossing the island. As Koh Tao is not particularly large you can do most of these on their own within a couple of hours, and the majority of them lead to beautiful view points such as Mango, Fraggle Rock, or John Suwan. (Be aware that some of these view points charge a small entrance fee). One even leads to a partially built but now abandoned hotel that’s very interesting to explore. If you are feeling more energetic, you can link many of the trails together and create a 22km hike around the island. If hiking isn’t your thing, but staying fit is, there are a number of gyms on the island where you can work off the excessive food and alcohol you consume. Gym & Fitness is the most typical western style gym, with 2 air-conditioned floors full of cardio machines and free weights and a newly added Muay Thai training area. Monsoon gym does have a small air-conditioned room for cardio, but is mostly outdoor. They are targeted towards Muay Thai training, but also provide other group fitness classes. 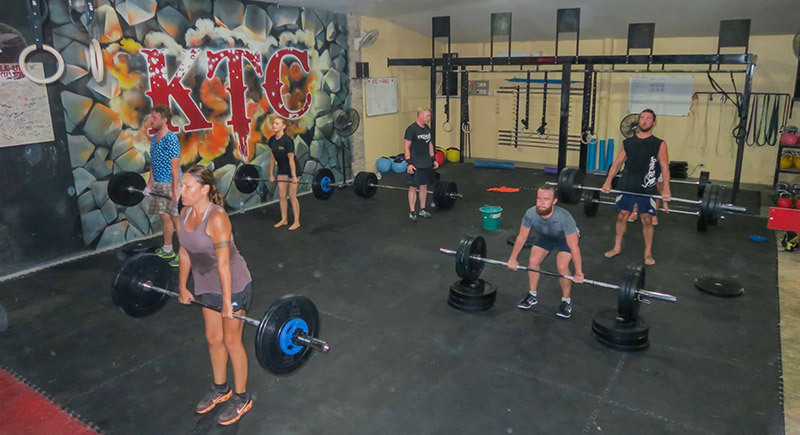 And if you are one of the ever growing number of Crossfit fanatics and are worried about getting your fix while you are away from home, do not fear as Koh Tao Crossfit runs 3 classes a day and will provide a very warm welcome to their Box. Want to try something new while you are here? 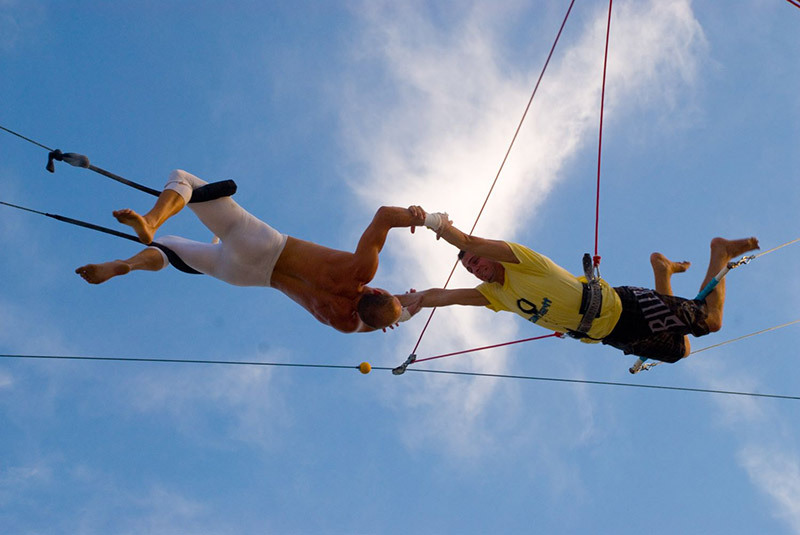 How about becoming an acrobat and flying through the air on a Trapeze?! Yes this really is something you can try out here on Koh Tao. Anyone can do it, and having tried it myself for the first time recently, I can say it’s a lot of fun. Check out the guys at Goodtime Thailand if you fancy giving it a try. Or if you want to try getting to some of those view points the hard way, and do some rock climbing and abseiling, they can do that with you as well. If you are missing being out on the water, there are still other things to do apart from diving. If you want to try your hand at sailing you can charter a boat or take a course with Island Cruises. Or you can book a fishing trip in a number of different places. So while Koh Tao is a mecca for diving and you will love doing your PADI Divemaster course here at Sairee Cottage Diving, there is so much more to do on the island that will make your experience even more exciting and rewarding. Make sure you explore all Koh Tao activities while you are here! 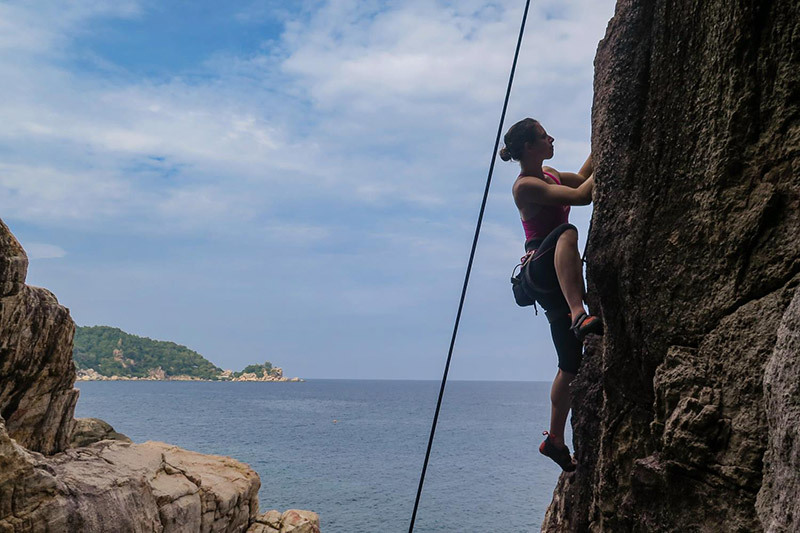 Do you know of any other great Koh Tao activities? Let us know in the comments below.